Taking good care of your cleats will make them look better for longer, and (more importantly) it will keep your cleats in better working condition. TOKAY cleats were designed and made to be durable, and taking care of them will help them last even longer. By playing ultimate, your cleats will often get dirty and wet. That is totally fine. But it is much better for your cleats if they do not stay muddy and wet for too long. So: clean them, let them dry, and use your cleats like cleats. Mud gets into the fabric pores and over time this affects the breathability, flexibility and therefore also the durability of your cleats. Simply use a wet towel or sponge to remove the mud off of your cleats after a muddy training or tournament. Do NOT use solvents to clean your cleats and do NOT put your cleats into the washing machine. This will moisten the inner foams and help the growth of bacteria. Encourage your cleats to dry naturally by placing them in a dry and well-ventilated area. Remove the insoles and let these dry separately. 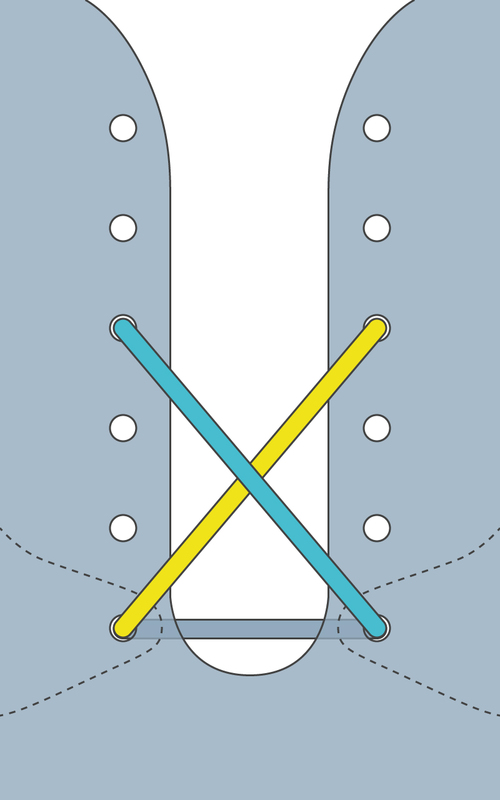 Insoles usually retain a lot of water. If your cleats are very wet you can also put some balled up newspaper paper into them to help absorb out the moisture. For many of us, just taking our cleats out of our bags after practice is a good first step in the right direction. Even more importantly: do not actively dry your cleats by putting them in the dryer, on a radiator, or blasting them with a hairdryer. 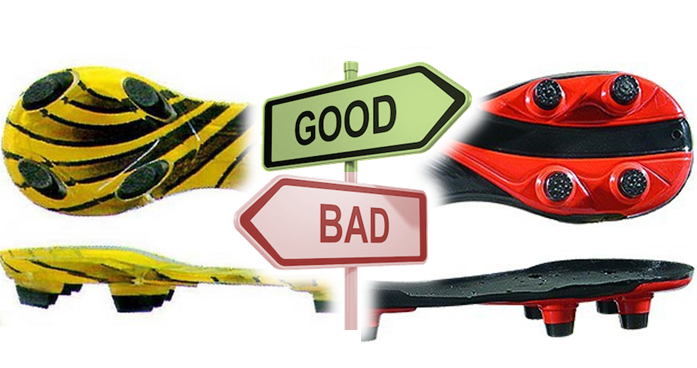 As with all cleats, active drying methods are quite bad for cleats and will cause the materials to break more quickly. Finally, use your cleats like cleats. Work them hard, but please do not walk on concrete in your cleats. This will damage the studs and will make them less effective. Also, since they don’t provide any grip on concrete, you’re more likely to slip and fall. So stay safe, and change out of your cleats if you need to walk across an area of concrete. Wear flip-flops between games, but don’t wear your cleats like flip-flops. 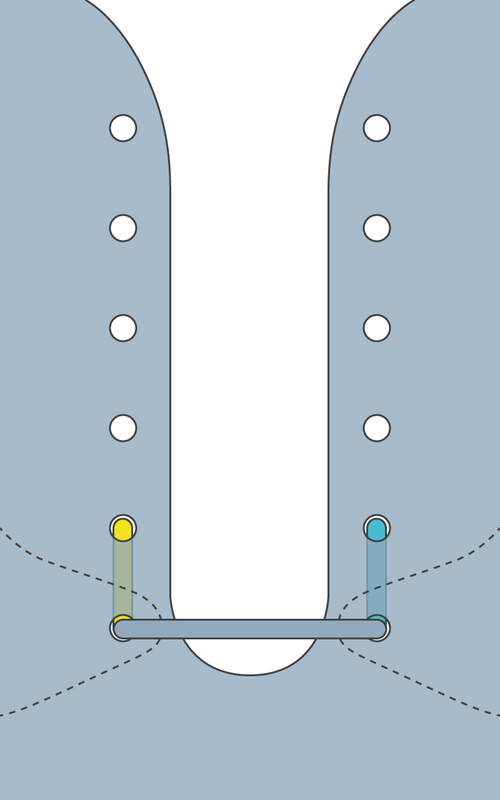 The reinforced heel counter plays an integral role in the functionality of your cleats, wearing your cleats like flip-flops will damage the heel and decrease functionality of the cleats overall. Taking your cleats off between games is also really good for your feet. Pop on a change of socks and you and your cleats will both feel brand new. Once you’ve laced up your cleats you tie them! There are many different ways tie your shoes, and the method you learned as a kid might not be the best match for your current needs. 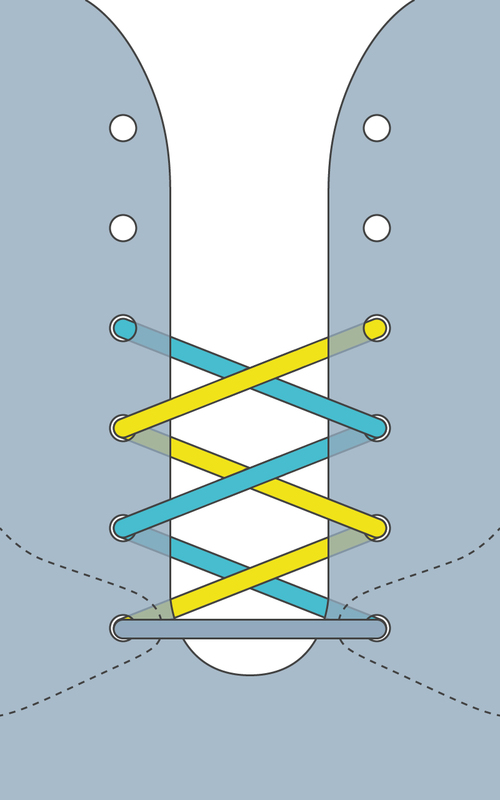 Do your shoelaces frequently untie themselves? You might be suffering from the “Granny Knot” problem. Or you might simply need a different knot. 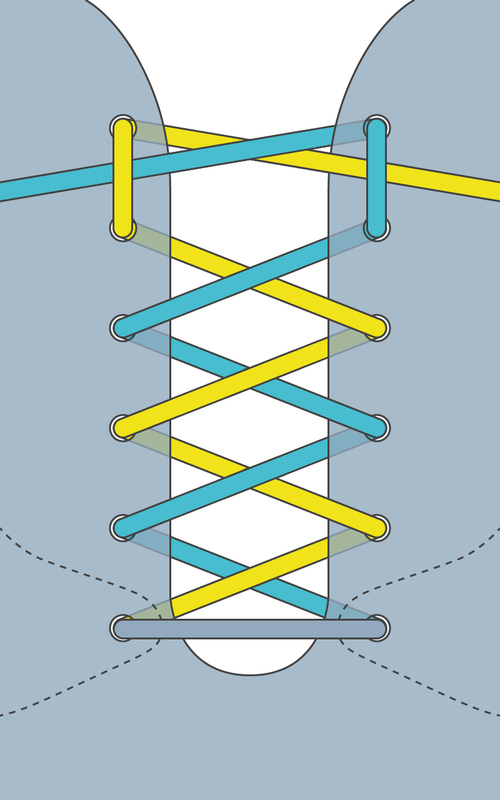 Read on to discover the world’s fastest knot to tie as well as a few super secure knot options. 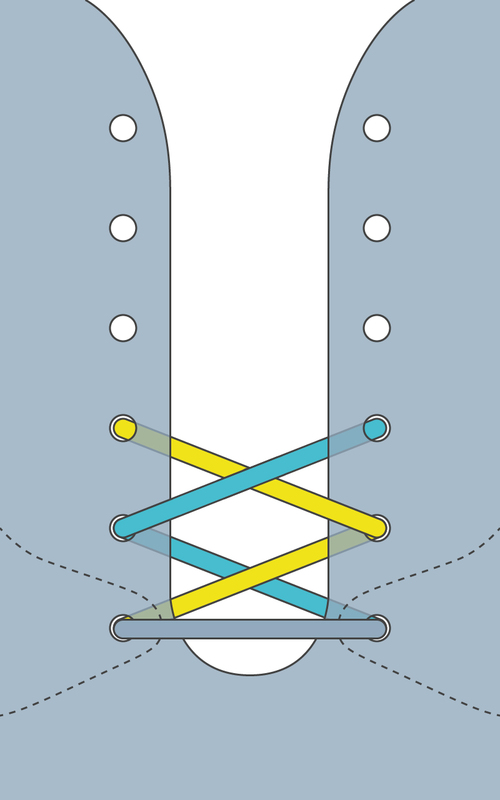 Do your shoelaces frequently get untied? You might be the victim of the “Granny Knot” problem. 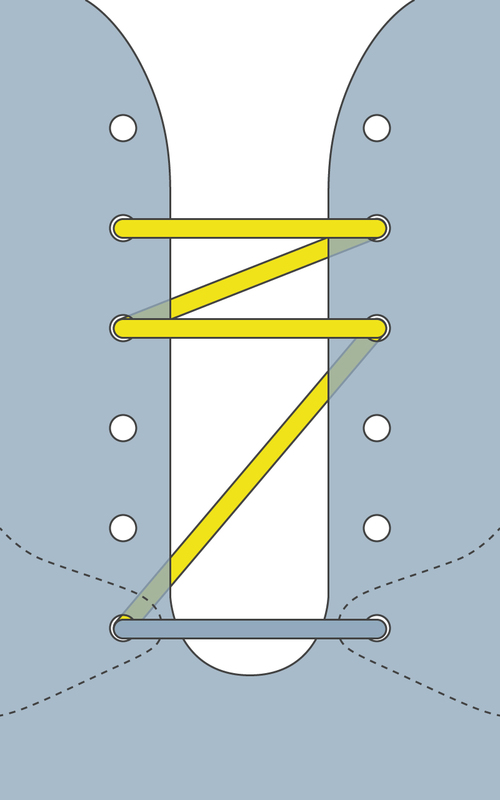 The process of tying your shoelaces usually occurs in two stages: the starting knot and the finishing bow. 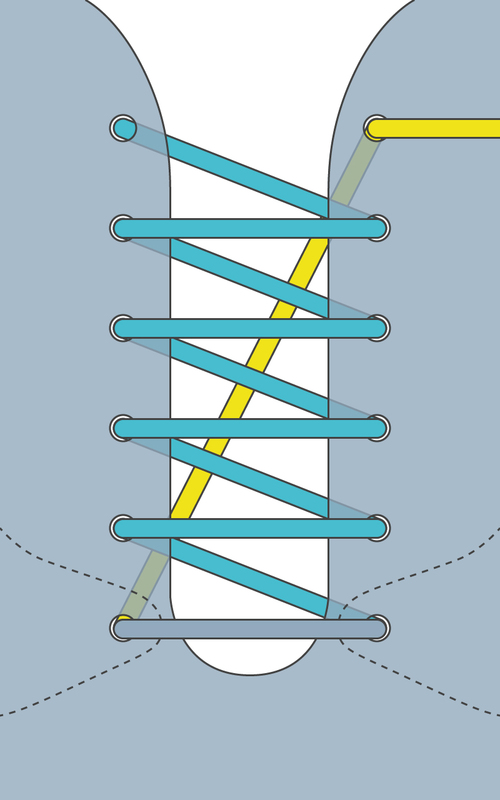 Each of these stages twist the laces. 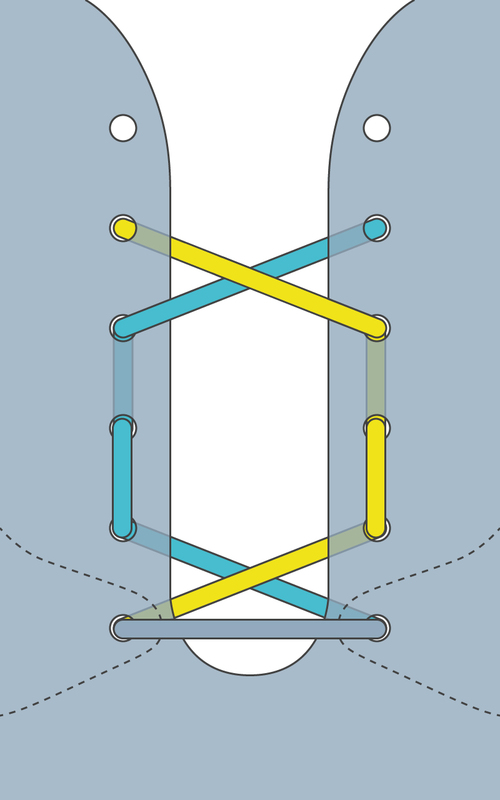 A balanced or symmetrical knot is created when the twisting of these stages balance each other out: left-over-right followed by right-over-left or vice versa. If the stages are twisted in the same direction (e.g. left-over-right followed by left-over-right again) an unbalanced and rotated bow results. 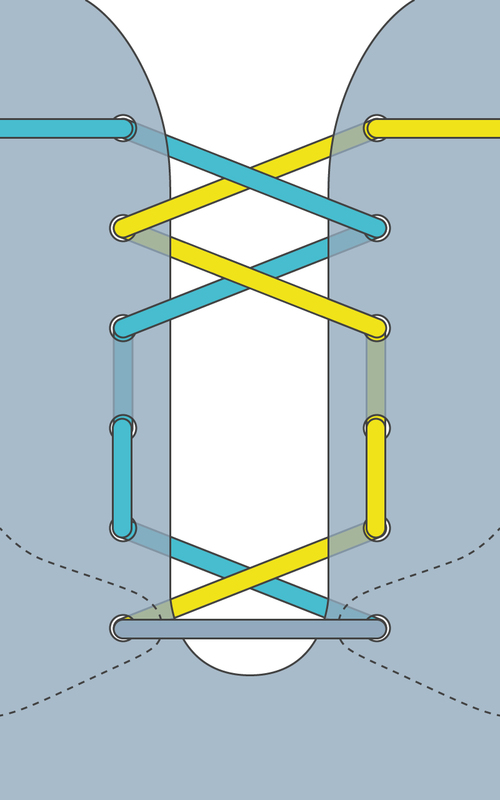 Not only does this unbalanced “Granny Knot” look messy, it is also less secure and will more easily come undone. 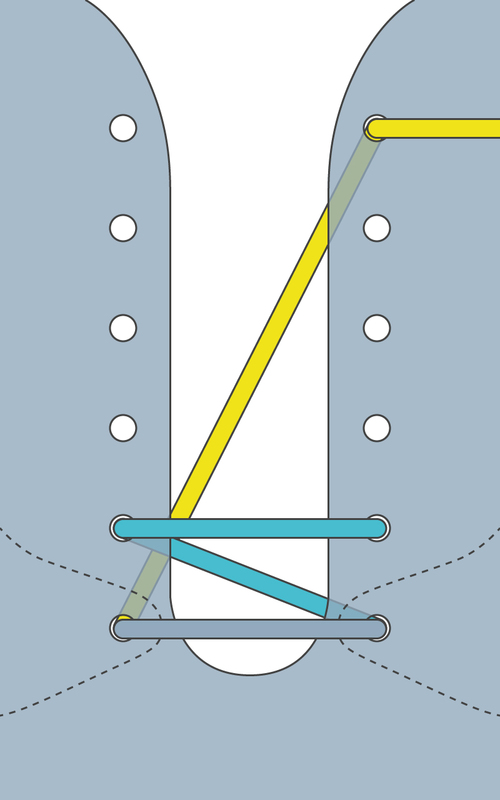 Your quick fix to more securely tied shoes might therefore be fixing your “Granny Knot” tendencies by reversing the direction of either your starting knot or finishing bow step. It might take some time to break this bad habit, but avoiding the “Granny Knot” will make your knots more secure. 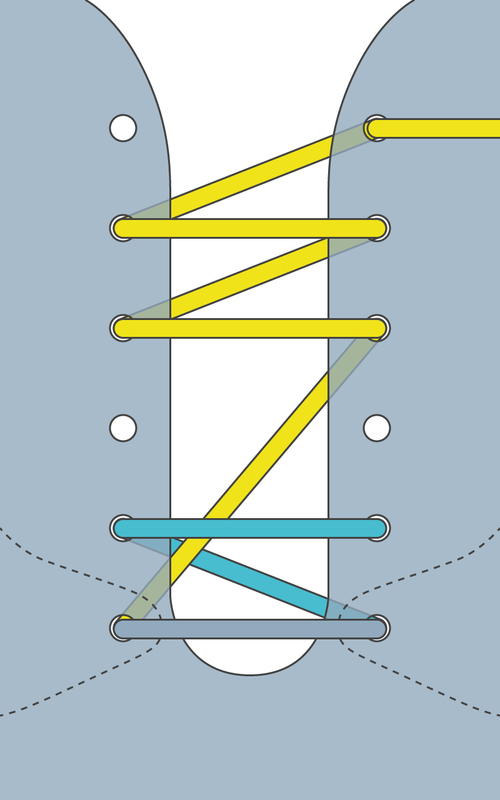 The Ian Knot is the fastest way to tie your shoelaces (invented by Ian Fieggen of Ian’s Shoelace Site). 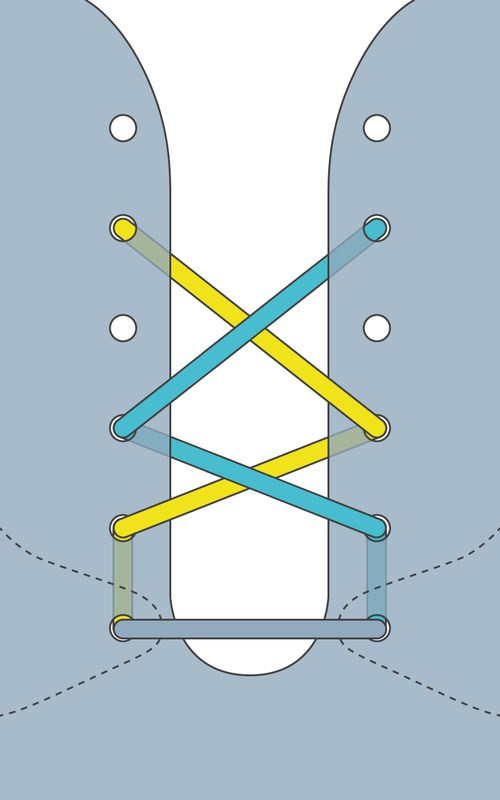 Follow the video above or the instructions below to try the Ian Knot for yourself. 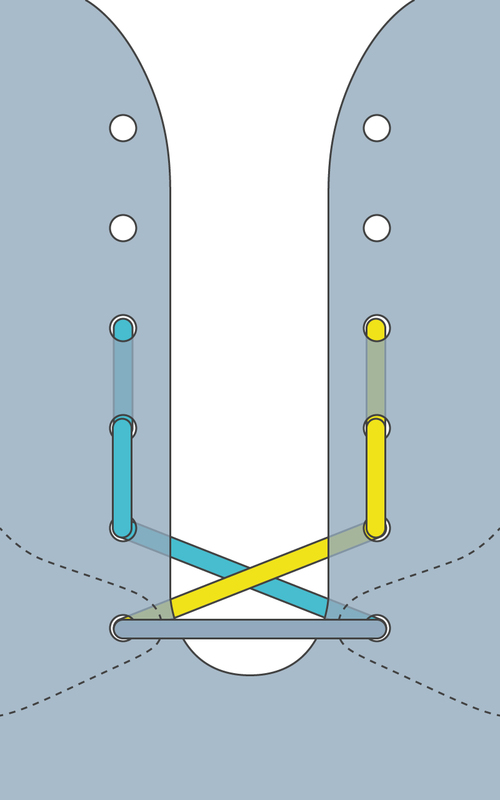 Tie a starting knot left-over-right. 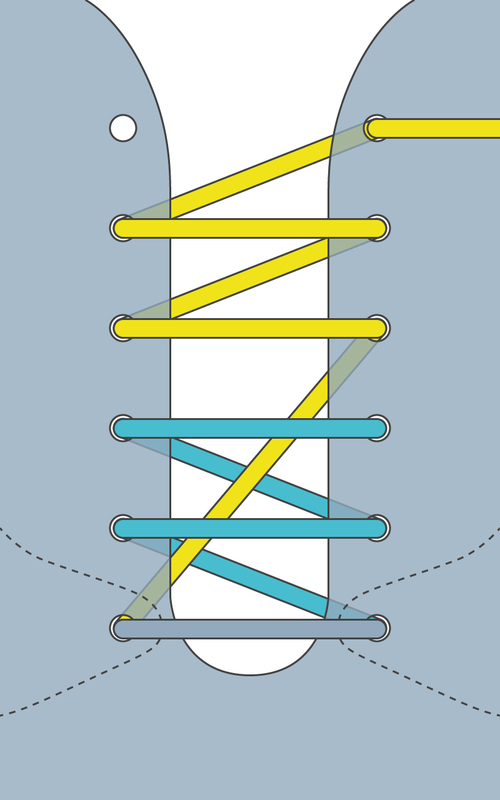 Hold the lace ends as loops: the lace end on the left looped towards you over your index finger and the lace end on the right looped away from you over your thumb. 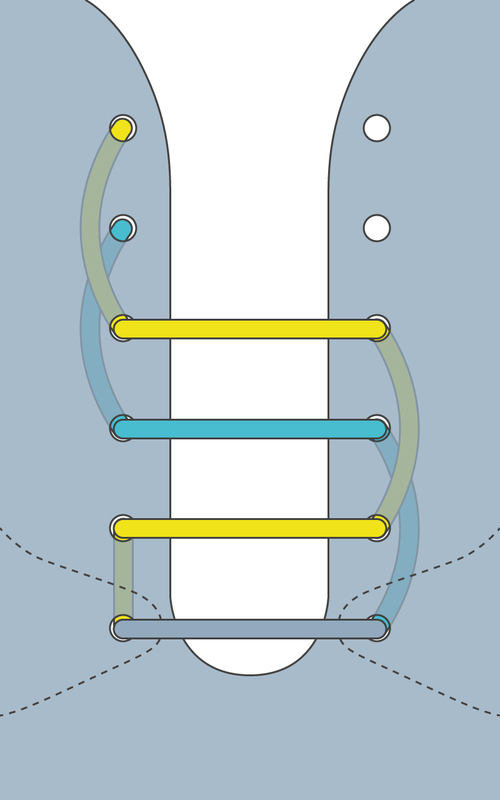 Simultaneously push the loose side of the left loop through the right loop and the loose side of the right loop through the left loop. 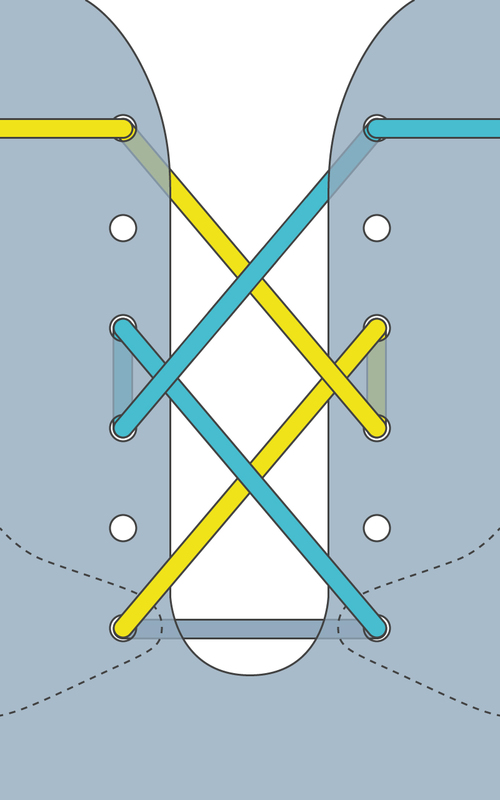 Pull the loose sides tight to complete the bow. 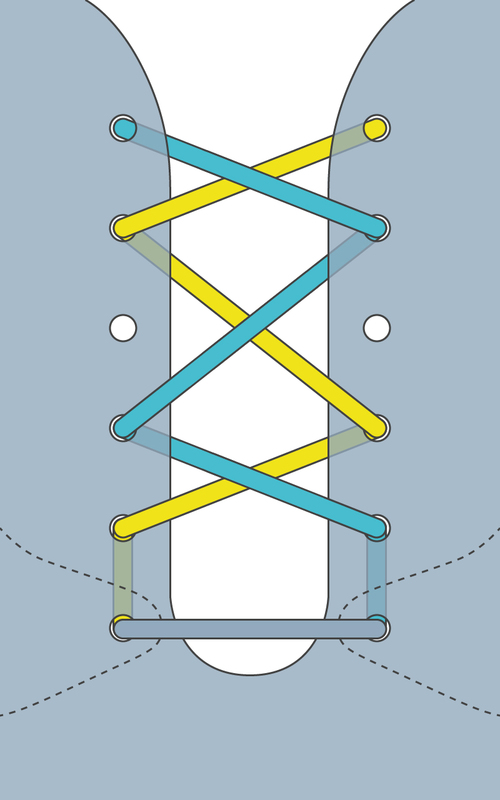 According to Ian Fieggen, inventor of the Ian Knot, this knot takes about one third of the time to tie compared to a conventional knot. This knot is three times as secure as the Ian Knot. 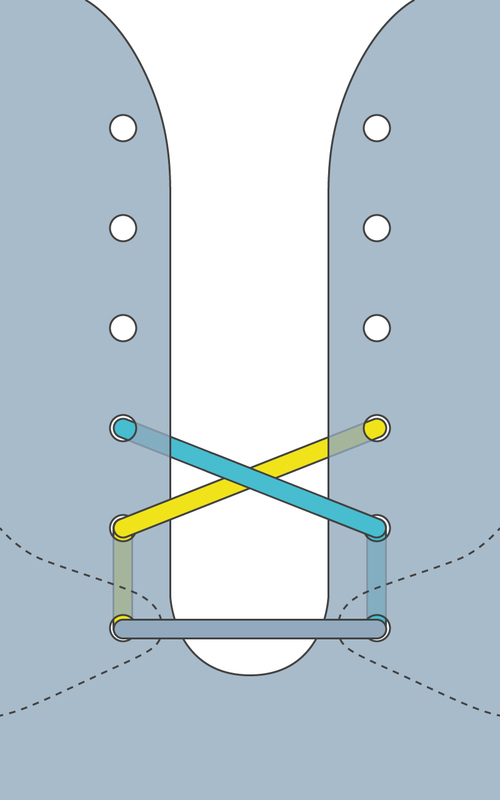 Follow the video above or the instructions below to try the Double Slip Knot for yourself. Tie a starting knot left-over-right. 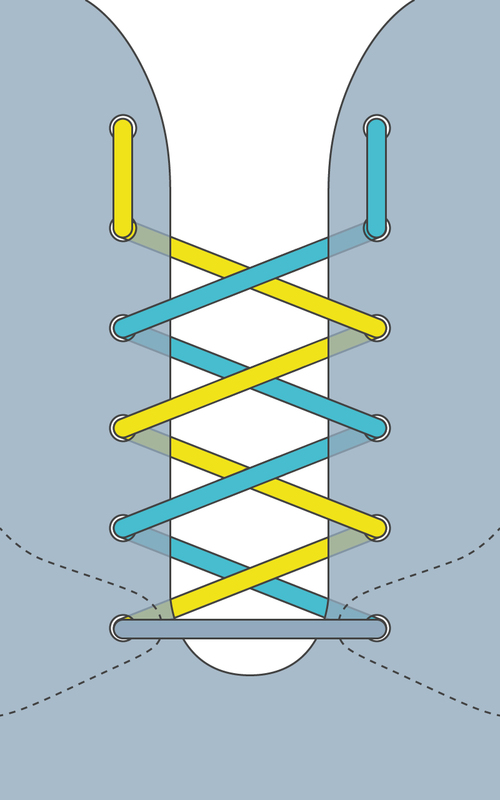 Create a loop with each loose lace end. 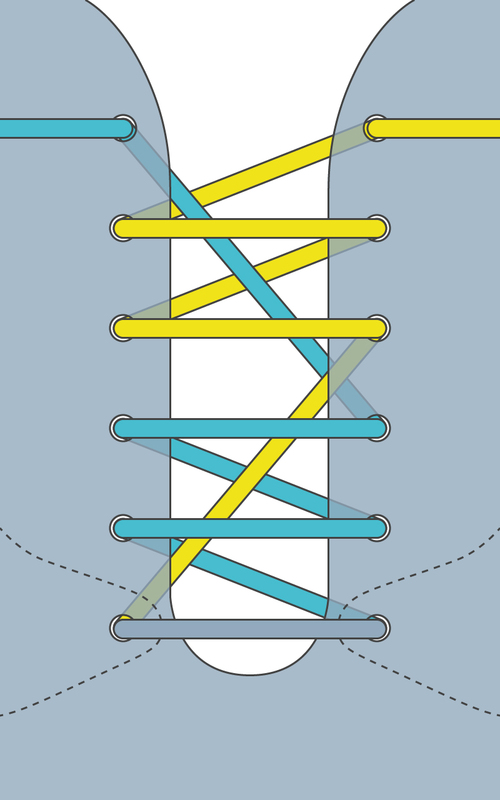 Cross the loops so that the right loop crosses over the left loop. Wrap the end of the left loop up and over the right loop and the end of the right loop back and around the left loop. Pull both loop ends through the central hole created and pull the loops tight to create the knot. My personal go-to knot: quick, easy and secure. Follow the video above or the instructions below to try the Surgeon’s Shoelace Knot for yourself. Tie a starting knot left-over-right. Create a loop with the right lace end. 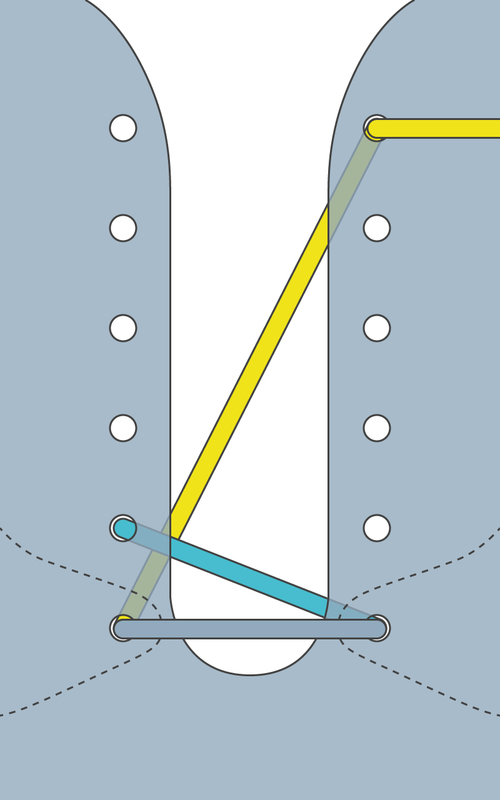 Now pass the left lace behind the right loop and bring it around and to the front of that loop. 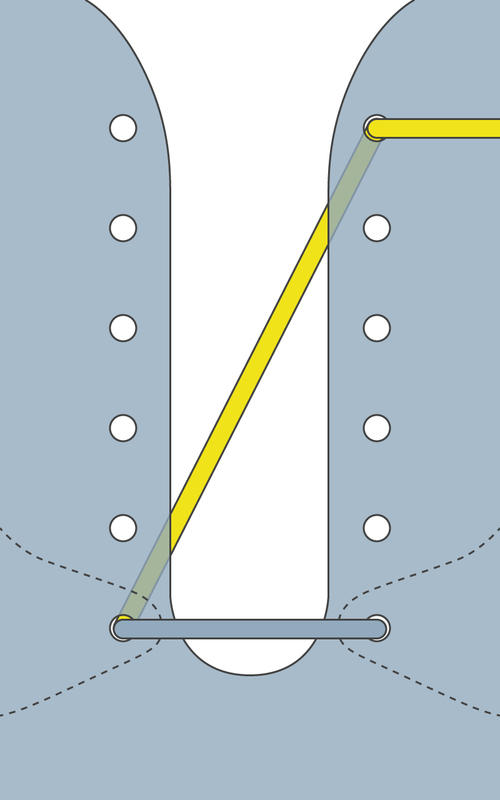 Feed the left lace through the hole created. 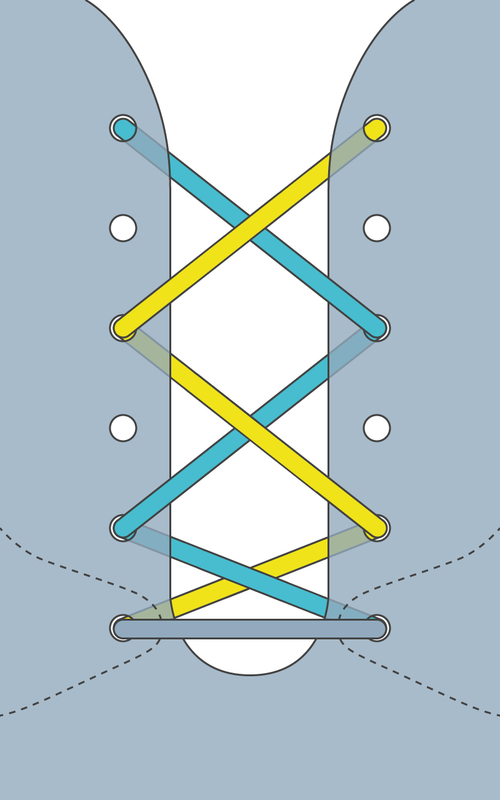 Wrap the loop hereby created by the left lace around the right loop again and feed through the same central hole before tightening to finish the knot. 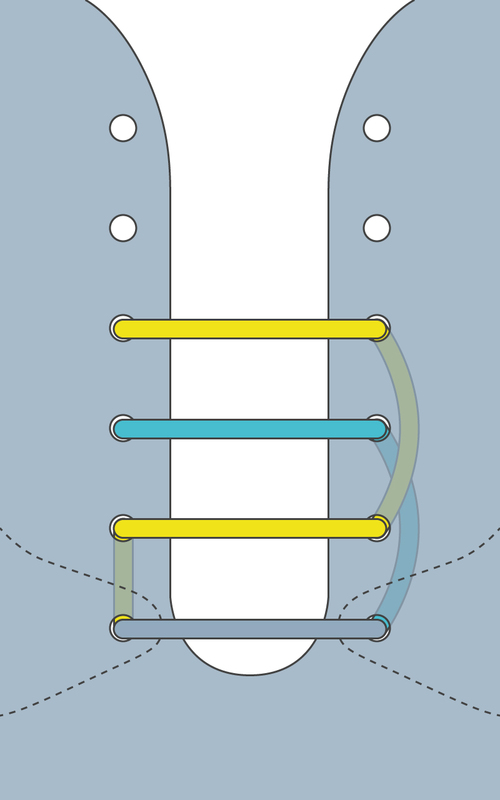 The lacing technique you use on your cleats can make a significant difference to your feet and therefore impact your overall performance. We want you to make a deliberate decision about what lacing technique best suits your feet, because happy feet make for a happier player. We have compiled a small selection of functional lacing techniques that will accomplish things like relieving the discomfort felt by athletes with wide feet, narrow feet, high arches, and everything in between including toe pain and heel slippage. We’ve also included two lacing alternatives for those of you whose shoes fit just right but still want to get in on the fun of different lacing styles. Once you’ve laced up those cleats, give our shoe tying article a look for tips on how to keep your laces tied. This lacing style will loosen your entire shoe. 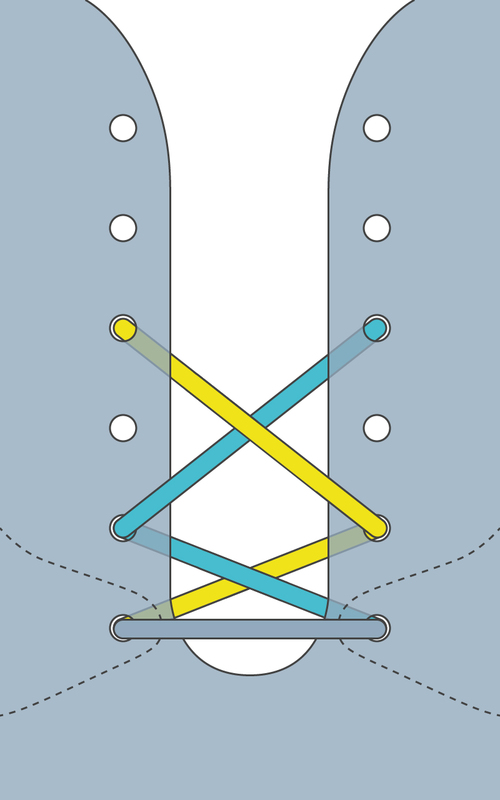 Alternative lacing style if your entire shoe feels too tight. 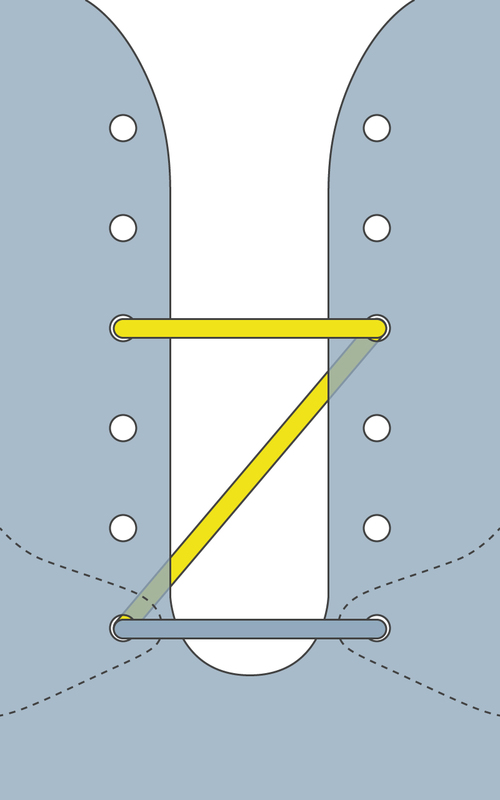 In this technique the laces are more evenly distributed giving a more comfortable fit. This method will tighten your entire shoe, but make sure you can still flex your feet normally. Avoid over tightening your shoes since that could prevents normal blood flow causing numbness and even bruising. Alleviate pressure on a particular part of your foot by skipping two eyelets above an area where you experience a lot of tightness (e.g. the forefoot if you have especially wide forefeet or the middle of your shoe if you have high arches). This will reduce pressure without losing a lot of support. TOKAY cleats have been designed to give your toes more room, but this lacing method will lift the toe cap and give your toes even more space. Be sure to thread from your big toe up to the opposite top. 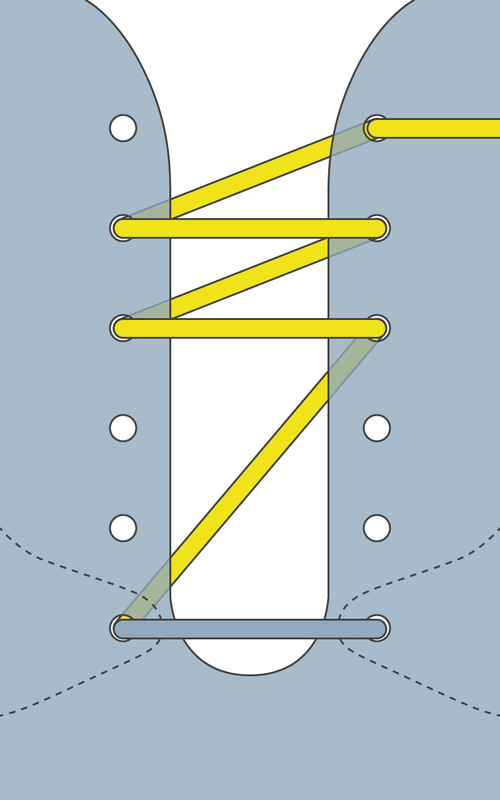 Use this finish in combination with your preferred lacing technique to avoid getting blisters and wearing out the heel of your cleats. It secures your heel without tightening the rest of the shoe and even provides additional ankle support. This method will allow you to quickly and evenly tighten your shoes by pulling on the loose ends. A nice job by INSOFT. Shoutouts to Bellabeth for the music and Kmi for edition! Tip #1: Clean them well! If your cleats are cloggy, they not only loose SWAG, training after training, the mud will enter the pores of the shoes fabric and decrease their performance in terms of breathability, flexibility and – in the end – durability. To clean your shoes, simply use a wet towel or sponge to remove the mud. Do not put your cleats into the washing machine, it would moisten the inner foams of the cleats and facilitate the growth of bacteria. Drying your cleats is very important to make sure they last, WITHOUT SMELLING. But you can’t dry them too fast, or the material (mainly the leather and synthetic leather) could tear up fast. The best way is to let them drying naturally in a dry and well-ventilated area, if the shoes are very wet, prefer using journal paper instead of heat (radiator or direct sun). You can also remove the insole for more efficiency. Your shoes will appreciate, if the field is particularly wet, change your socks, you’ll feel like a new person! You can find shoes disinfectant in sport shops, or talc in drug stores to limit the spread of the bacteria. Use it once in a while. If you have leather cleats, maintain them once in a while by applying grease with a cloth. Repeat every few days, adding talc, for one to two weeks. 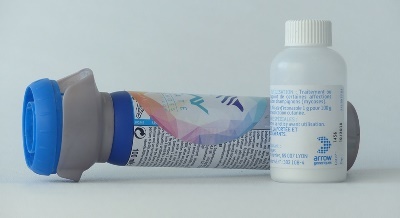 Wash your feet with a disinfectant like betadine, every day during the all process. 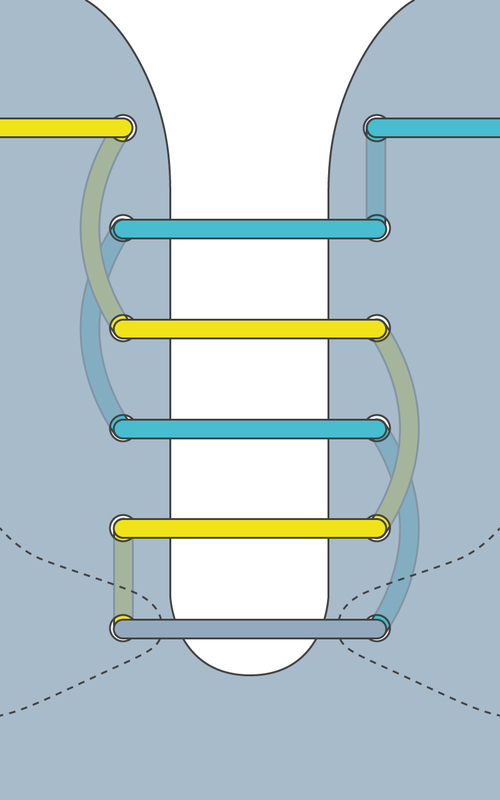 The objective is to break the circle of bacteria going from your feet to your shoes, and from your shoes to your feet. You have your own tip? Share it with other players in coments! In itself, the study of the needs is a huge work, it will determine all the technical and fashion aspects of the future product. In ultimate frisbee for example, technical needs will be to resist to the inner forces during cuts (mainly), ensure a good grip without disturbing some other movements, be breathable but water resistant… To identify and prioritize these functions, we do a lot of video analysis, during games, and then by filming specific movements. Some elements (such as weight, comfort…) are identified as specifically performance ones, and will help us to evaluate the design ideas, to choose one. Shoes being one of the most iconic fashion elements, it would be unreal to think that a pair of cleats is only chosen on its technical characteristics. The trendborad is here to guide the designer into his choices. The price is of course a results of all these choices, and in particular: the upper complexity, materials, but also the number of model and sizes proposed. The last is the shape on which the shoes will be made, it determines their inner shape. To make a last, the shaper uses a standard foot shape, to which he will add or remove some material to obtain the properties he desires. For example, to provide more agility with the ball, soccer shoes lasts tend to be narrowed. The making of a last is a subtle mix of art and science, and require a lot of experience. Once the wooden last has been validated, it is scanned and a plastic copy is made for production. The upper is the fabric or leather part on the top of the shoes. Often made of many parts from varying materials, its manufacturing can require up to 70% of the overall production time of the shoes. Last years, with the decreasing of the workforce cost in Asia, brands tended to increase the complexity of this part, adding more kinds of materials and more operations (just have a look to your running shoes). In addition the environmental impact due to some materials, the complex shapes of the parts often implies a lot of wastes. 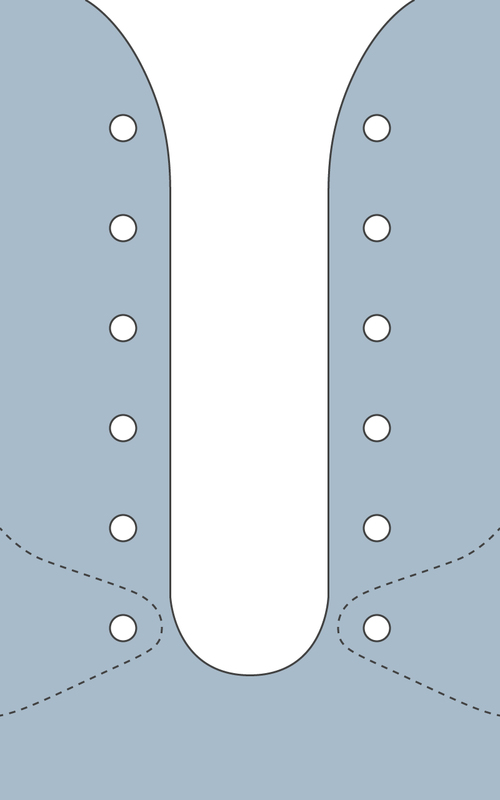 It is also in that step that are added the reinforcements, mainly in the heel, that allow a good foot support. Once the prototype is validated, each part is drawn on 2D in the reference size, and then proportionally modified to produce the other sizes. The ousole is the main investment in a shoes project, since in implies molds (mainly a big machined aluminum bloc) for each size. Its design is a big step for the project. The outsole is mainly responsible of the interface between the foot and the ground and will determine your grip. But it also provides support to your feet, for example a rigid outsole will give good results for fast sprints, a thin sole will be used for agility, while a wide one will be preferred for stability. Last but not least: the accessories, mainly shoelaces and insoles that have an impact on the overall quality of the product. To facilitate all this, every steps are interdependent… it was lucky that I had no Idea about how complicated it would be, or else I would have never started! This article is also a good opportunity to thank all the people that took the time to explain me all these details, a special thanks to Patrick and Antoine that accepted to follow me into this project! So here are some few tips to find the one to make your life with: your perfect cleat! 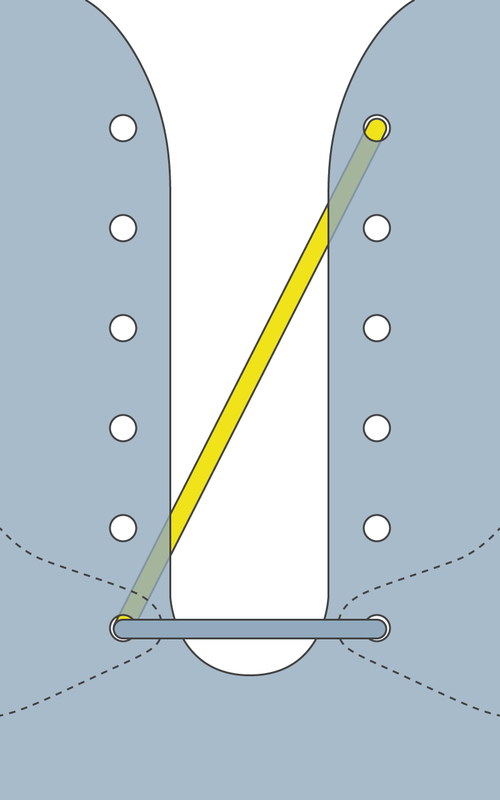 Choose for immediate comfort: the shoe will deform with the time, but if some parts of the shoe are initially uncomfortable it is better to try another model. Shop in the evening: feet swell during the day, so don’t shop first thing. Test shoes on both feet: we all have a foot larger than the other. Buy a beautiful shoe: the one that give you the game winning swag! Measure your feet first, this video give accurate instructions. Many studies tend to show that I shaped studs tend to increase the risk of injury (especially under the heel, where they restrict your foot during rotational movement). You should seek out cylinder-shaped studs. For indoor practice, handball shoes present a good alternative since the sport is played with similar movements (short sprints and hard cuts). Every foot is different. Their length can vary, but also their width, arch, toes shapes, etc. . . 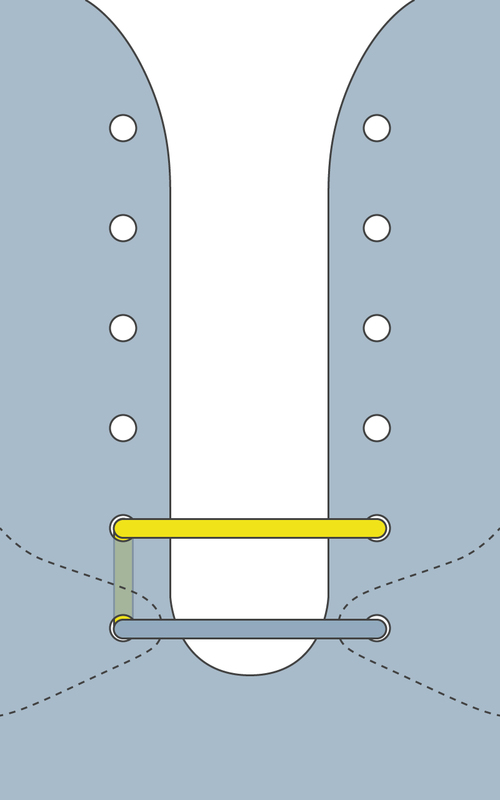 Unfortunately, no brand exists today that would provide a different fit for a same model of cleat (just like Asics – for example – does this for running shoes). There exist cleats for all budgets; you even often see the same model from a brand presented in different ranges. In these cases two factors should be taken into account: the quality of materials and the finishing of the product. For example in the lower prices range you will have poor quality synthetic leather (non-breathable, poor durability) and a mono-injected outsole; whereas in the higher priced scale you will have real kangaroo leather and a nice finishing of the outsole, plus a cushioning insole.